So, you’ve upgraded to Windows 8, and are wanting to connect to your VM console via vSphere. Uh Oh! A wild error message appears! Well, the short story is that when connecting to the console, the vSphere client uses an Internet Explorer plugin, which is not compatible with IE 10 (which Windows 8 comes with). Unfortunately, there is no way to view the console at this point with vSphere. 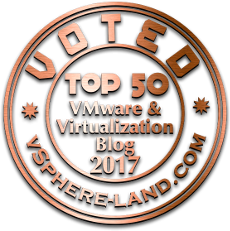 vSphere 5.1 fixes this issue. Using the vSphere 5.1 client to connect to vCenter 5.1 or esxi 5.1 will work just fine. 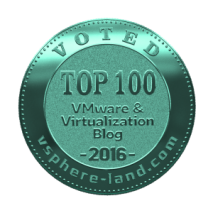 Can’t upgrade to vSphere 5.1 yet? You can use VMware Workstation to connect to the ESXi server and open the console that way. Enter in your ESXi servername or IP, and credentials. I am experiencing this problem with vSphere client 5.5 build 1880841. It fails using the standalone client and using the web client with both Firefox and IE 11. This sounds like a separate issue, as 5.5 works quite well with Windows 8. Verify DNS settings. If your hosts are registered in vCenter with a name, and not IP, then your client will try to connect to the console of the VM on that host, by the Host’s name. Thanks for the post – that didn’t work for me though. Even with install of latest vsphere client. What worked for me: after exiting client, found doing an “end process” of any stray vmware-vmrc.exe processes in task manager did the trick. Thank you, this was extremely helpful!